Agnes Kanzira Namaganda is an Academic Librarian, Information Literacy Instructor, and Head of Book Bank/Acquisitions Section at Makerere University Library, Uganda. She has been supported by INASP through a 2015 Leadership Grant , and here she reflects on some of the library skills supported through INASP grants and activities. Agnes blogs regularly at LATINA IN Africa. 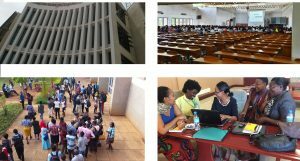 Global competition, new ICT and the demand for accountability have created major shifts in terms of collection development (from paper to electronic) and ways in which we, as librarians, organize our work. Librarians need to rethink ways of providing educational resources to support teaching, learning and research. This calls for a wide set of skills, attributes, and attitudes in order to serve diverse communities and adapt to the constantly evolving information landscape. There is need for continuous professional development, the creation of partnerships with faculty and active engagement in research to gain better knowledge of the sector. The development of information literacy skills allows librarians to develop partnerships through the provision of embedded information literacy courses. Technological advances have created new pedagogical opportunities and librarians need to embrace these advances in order to support learning and teaching in higher education. In order to keep abreast with current developments in the digital environment, I applied for the INASP Leadership Grant to be able to attend specialized workshops in Cape Town jointly organized by the Library of Cape Peninsula University of Technology (CPUT) and the Learning Centre & Library of Oslo and Akershus University College of Applied Sciences (HiOA), with curricula developed by the Statistics and Evaluation Section of the International Federation of Library Associations and Institutions (IFLA). 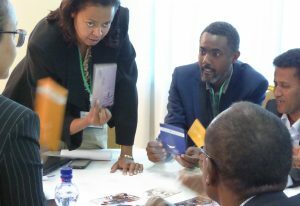 Participants were drawn from Norway, South Africa and Uganda for the workshops, which kicked off with two days’ training on practical statistics for African academic libraries. 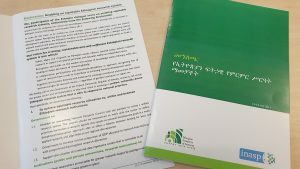 The workshop had a double aim: to provide library managers with reliable quantitative data and to support advocacy, or the ability to mobilize stakeholders to support libraries through evidence-based arguments. This approach is supported by the evidence-based librarianship movement that emphasizes decision making based on researched data. The Consortium of Uganda University Libraries (CUUL) has greatly benefited by partnering with INASP through building capacity of librarians. Through the Strengthening Research and Knowledge System (SRKS), CUUL has conducted short courses equipping librarians with competencies required in the 21st century. 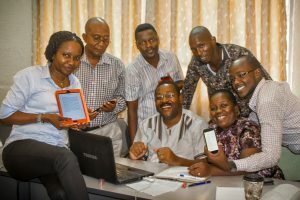 In 2012, with support from INASP and other development partners, librarians from Kenya, South Sudan and Tanzania attended the Learning and Teaching in a Digital World (LATINA) programme hosted by Uganda’s Makerere University Library. LATINA is a change-oriented digital programme developed in Norway that uses a learner-centred approach to teaching. The approach emphasizes methods that shift the role of instructors from givers of information to facilitators of student learning. The course combines brief presentations and discussions with extensive hands-on work with digital equipment. Emphasis is on institutional collaboration in networks and the use of open and cloud-based resources for teaching and learning. Local relevance, low-cost production and the rapid sharing and transfer of skills are included in the LATINA concept. Libraries and librarians need to adapt continuously to update their skills in line with new technologies, and they need support to do this. However this should be seen as an opportunity for libraries to be able to offer better services, becoming more responsive and valuable to their users, and demonstrating that value to their institutions as they adapt.